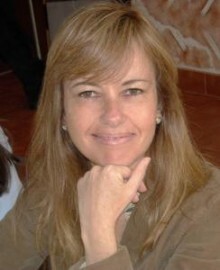 Teresa Correia de Lacerda is an international speaker, researcher, consultant in personal & leadership development, and author. With 20+ years of business experience, she works individually with leaders on changing organizational settings that improve the overall performance and enable corporate sustainability. Her methodology used for personal and leadership development focuses on helping leaders in finding their true-self and their internal drivers for success. She is an active researcher in areas like leadership, business ethics and corporate sustainability. Teresa has been invited as guest speaker for events organized by TIAW, EWMD International & National Chapters, AESE (IESE University of Navarra), AIESEC, EU Gender Equality Institute (EIGE), ISEG (Technical University of Lisbon). Also, she has been featured in Dirio Econmico, Executive Digest, Caixa Women, GW, Saber Viver. Her first book was released in June 2010. Do you want to hire Teresa Correia de Lacerda? Directly request a quote. In 48 hours we can send you the availability of Teresa Correia de Lacerda If you would like to book Teresa Correia de Lacerda, Entertainment Booking Agency is the right place. We will offer you the best price and contact the management or we directly contact Teresa Correia de Lacerda. For corporate appearances or speaking engagements you can contact our agents and the will help you true the process. Tags: hire Teresa Correia de Lacerda, Teresa Correia de Lacerda booking, book Teresa Correia de Lacerda, Teresa Correia de Lacerda appearances, find more information on booking Teresa Correia de Lacerda for appearances, Teresa Correia de Lacerda speaking engagements, Teresa Correia de Lacerda endorsements/spokesperson, Teresa Correia de Lacerda appearance fees, Teresa Correia de Lacerda booking agency contact info, biography of Teresa Correia de Lacerda, Contact an artist booking talent agent find a speakers bureau that can book Teresa Correia de Lacerda, speaker booking agency for Teresa Correia de Lacerda, Teresa Correia de Lacerda booking agency, Teresa Correia de Lacerda booking for corporate event. EBA is one of the biggest entertainment booking agencies in the World. We book hundreds of celebrities, artist, athletes and speakers in a year. Important to know is that we are not claiming to be the management of Teresa Correia de Lacerda. We are not the official agent for Teresa Correia de Lacerda. Companies from around the globe book these artists and speakers true our company be course we have one of the biggest networks and we always have direct contact with the artist or the management. We help you to find the right celebrities for your corporate of private events. Please contact one of our agents to get free advice and we will help to get the world-famous artist on your party.